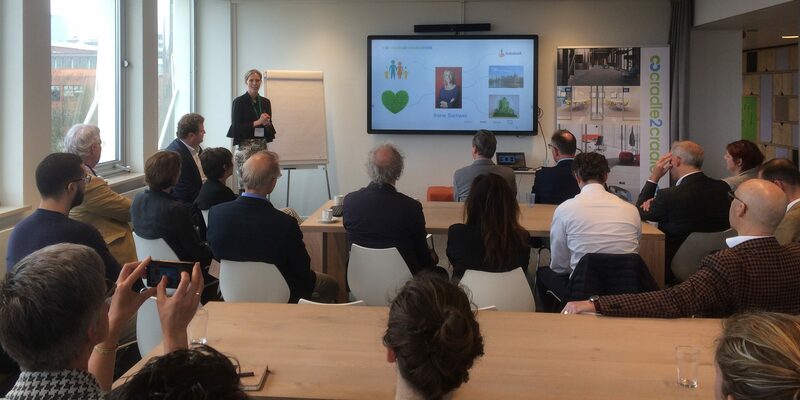 BAMB partner Hein van Tuijl, EPEA, presented BAMB, the Reversible Experience Moduls exhibition and Building Holland at the Cradle to Cradle Café at ‘Het Voedingscentrum’ in The Hague, The Netherlands. The theme of the café was healthier living and working. There were around 30 participants.